In the Milan derby back in October, where he nodded home a stoppage time winner, his touch tally was again just 16 - 25 fewer than even ​Inter keeper Samir Handanovic. The 25-year-old Argentine, already a two-time Capocannoniere winner, is without question one of the most decisive and predatory forwards in world football, but he is also arguably the game's most economical. Touch for touch there is hardly a more efficient player. ​La Repubblica worked out recently that Icardi has scored a goal for every 29 touches this season, while ​Opta stats claimed after he reached 100 ​Serie A goals last season that he had the best touches to goals ratio among players who have scored at least 30 goals in the Italian top tier since 2012/13. ​Icardi does not support, he does not drop deep, nor does he do many of the other things we are told a modern forward must. 1.8 - In the last Serie A Mauro Icardi scored on average a goal every 1.8 shots on target, the best ratio among players with 10 or more goals. Crucial. He is fast, but not 'lightning', strong, but not a 'beast'. He is not Roberto Firmino, Karim Benzema nor Luis Suarez. He does not really do defending from the front. But, as his manager Luciano Spalletti puts it (as quoted by ​Goal): "Icardi inside the penalty area is impossible to stop. "He is lethal. I would like him to join in more with the team play, but that takes nothing away from his finishing." He is the quintessential 'number nine', still operating in 2018 like a throwback to a bygone era. Stay up top, wait for chance, hold nerve, score it. In the same way that Inter's ultras have seemingly forgiven Icardi his trespasses over early transgressions that might have finished off another player, Inter's coaches have let him off defensive duties because, simply put, he can do what few can in the penalty area... and with fewer chances. This season in Serie A, ​Cristiano Ronaldo is operating at 7.5 shots per game, Edin Dzeko 4.9, Ciro Immobile 3.6. Icardi, who has taken just 22 shots but still has six goals so far in the league in 2018/19, is averaging just 2.8 per game. We often reserve the categorisation of football intelligence for playmakers and technical players who see a lot of the ball, but Icardi's ingenuity often comes without it, through his timing, awareness and ability to find pockets of space in dangerous areas. A close up clip lauding Icardi's movement prior to his Milan derby winner went viral on social media recently. 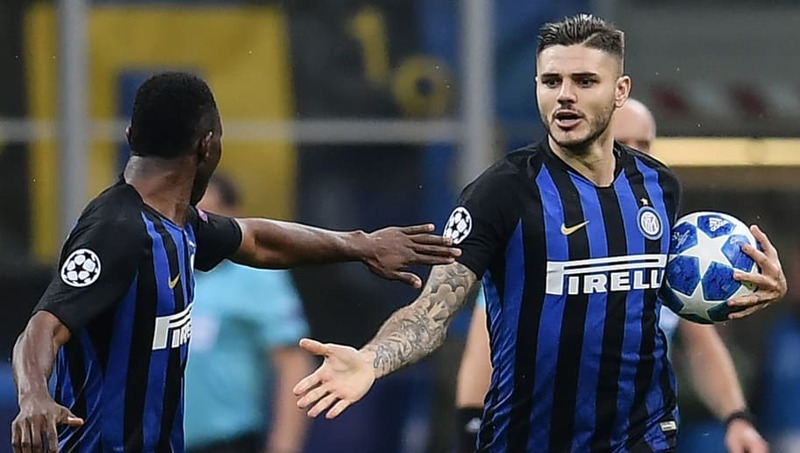 It showed, with the game level in the 92nd minute, how as the ball was floated into the box by Matias Vecino, Icardi was being tracked by fellow Argentine Mateo Musacchio. Trained in Barcelona's cantera before making his name in Italy, Icardi's style of play is far removed from the titki-taka commonly associated with his alma mater. Rather than death by a thousand cuts, the Argentine's game is all about one-hit kills. No club was willing to take a risk on the divisive young forward back in 2016, after the fallout of his ill-advised autobiography almost saw him kicked out of Inter. However, two years on he is one of the world's most coveted strikers with a reported release clause of €110m that is almost as good value as Icardi's own touches to goals rate. However, while his goalscoring exploits have seen him linked with big money moves to many of Europe's top clubs from Real Madrid to Chelsea, whether another club would afford him the freedom to be what is that he has at Inter is debatable.